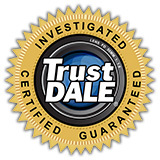 Barry Gazzard with Team Niche Realty is more than just a real estate agent, he is a TrustDALE Certified agent! In order for him to obtain this designation as a realtor, he has proven that he is more knowledgeable, experienced, and above and beyond the legal requirements via the National Association of Realtors. At the helm of Team Niche Realty is Barry Gazzard. Barry has been involved in Real Estate since 1984, and has worked in South Africa, the United Kingdom, Spain, Florida, and Georgia. Barry and his family have been living in Cobb County Georgia since 2003. Barry holds a Bachelor of Commerce Degree with majors in Accountancy and Economics, is a licensed Real Estate Broker in Georgia and Florida, and a member of the Cobb County, Georgia and National Association of Realtors. FREE BOOK OFFER - Barry Gazzard reveals his insider tips & secrets to sell your home for Top Dollar Fast! Click here to order your FREE COPY NOW! FREE HOME WARRANTY - Claim Your FREE 12-MONTH HOME WARRANTY valued at $549.00! Click Here For Details And To Process Claim NOW! With Barry Gazzard and Team Niche Realty on your side, you can expect excellent and personalized service for an outstanding value. Barry has been a licensed real estate agent in the state of Georgia since 2004, then previously licensed in Florida. With experience in real estate for over thirty years, it is no wonder that Barry has received such high reviews from the many clients he has worked with in the past. For sellers listing with Barry, you will receive the benefit of his many years’ experience in marketing homes to get you the highest price possible. Buyers will enjoy Barry’s strong negotiation representation with full-service options.